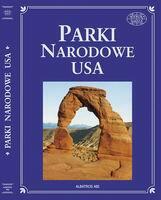 My name is Bogdan Kwiatek and I am writing this letter as the person from abroad who has visited all 50 States, who likes your whole country; but especially fell in love with American National Parks! I am also writing in my capacity as a Polish tour guide who brings in and out Polish tour groups to Alaska, California, Hawaii, and also to the other corners of your country, as I have just returned from a tour to the Rocky Mountains and Mid West cities (Salt Lake City, Denver and Chicago). Last but not least, I have decided to write this letter as a "tourist" who has traveled to and through the States for almost 25 years, having many good occasions to see highlights of your Country (and these are the National Parks) as well as some dark sides... In the USA I have seen all 50 States and visited 43 out of all 59 National Parks, many of them (States and Parks) many times. Since Nature is my passion, I have also visited 50+ parks in other countries on six continents. Today (October 12th) marks the Anniversary of so called "Discovery of the Americas" ie. the journey of Christopher Columbus to the shores of some island (maybe San Salvador) in North America, and more over to South America. It is also my anniversary of my journey around-the-world set up in Oct '92 and done within 2 years 1992-95 to commemorate that Big 500th Anniversary (to know it and portrayed the world as well). This year of 2016 marks another round 100th Anniversary of establishing the Federal Agency of Department of Interior as it is the National Park Service, and a lifetime achievement of its first Director Steven Mather. In just recent months I have visited some 20 American National Parks (proved by the multiple badges that surround my Junior Park Rangers hat. I only found out this year that JPR program in National Parks is valid for people 11+, so for me too :). After this quite long intro, by which I hope I lit some light over my activities and professional qualifications, it brings to my attention that in the recent years you Mr. President have signed few Acts according to that matter. In the year of 2013 was signed an Act establishing/upgrading 59th National Park – which is Pinnacle NP in California, existing before from 1908 as a National Monument (I was there last year in 2015). Also last year (2015) you have changed the name of America's tallest Peak Mount McKinley to Mount Denali in Denali National Park, Alaska, which was very important for Alaskans and Native Americans living there. 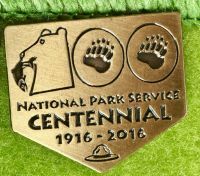 Next year we will celebrate 100th Anniversary of founding Denali NP as a first under suspice of NPS. 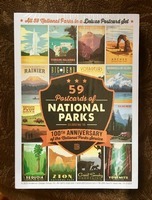 Therefore this Summer when I was in the same National Parks of Alaska and Rocky Mountains I just found an idea, that in this year of Centennial Anniversary (round 100 years) of NPS it should be established another – the 60th National Park and I am appealing to you Mr. President with a request. In my humble opinion that should be... the first National Monument which was established in 1906 so exactly 110 years ago (!) and the name of it - as you did with Denali - should be changed again to a native one. This first National Monument founded by the Act of President Theodore Roosevelt is called Devil's Tower NM and I strongly believe despite of its status in NPS the name should be preserved as the original.In Indian names it means Bear's Hut or Bear's Lodge and in the mixed version is Bear's Tipi. And because of the importance to the traditional owners it should be kept that way. I believe you can choose from native languages of Native Americans (Lakota, Kiowa, Cree etc) and Bear's Tipi National Park seems the most appropriate rather than the misled name of Devil's Tower. Yes, it is all because America is Beautiful and "America's Beautiful National Parks" are the best idea invented to not just all Americans but also a positive message to the rest of the world in these troubled times. Ps. 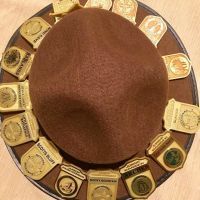 There (on my FB profile) are some pictures from my recent trips and mentioned JPRanger hat with all the badges (and even photos from the ceremonies to give the oath). Ps2. As this is not very private letter I post it online as a Public Domain to gather some audience. Thank you! Ps. 3. This letter was sent on Oct 15th (after supportive reading by native English speakers from Victoria, AUS and Texas, US) and right after Bob Dylan was chosen Nobel Prize winner in Literature. Letter had to be cut into 2 separate posts due to its mailing limitations throughout official Presidential Web page (there is no official email published) on www.WhiteHouse.gov.